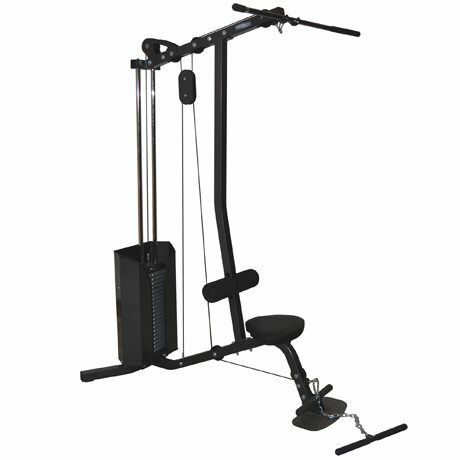 Complete upper body workout system with high and low pulley stations; a necessity to complete the well-equipped home fitness centre. This lat machine offers the user a huge variety of strength-building exercises. A foot support keeps you in position during seated rows, while lat bar hooks keep the wide-grip bar out of the way when not in use. Loaded with a 200Lb weight stack. Small Foot-Print(LxWxH): 60" x 48.0" x 83"